On the 10th August 2013 , the team was invited to dive the wreck of great Danish battleship Tordenskjold, which was built in 1854. 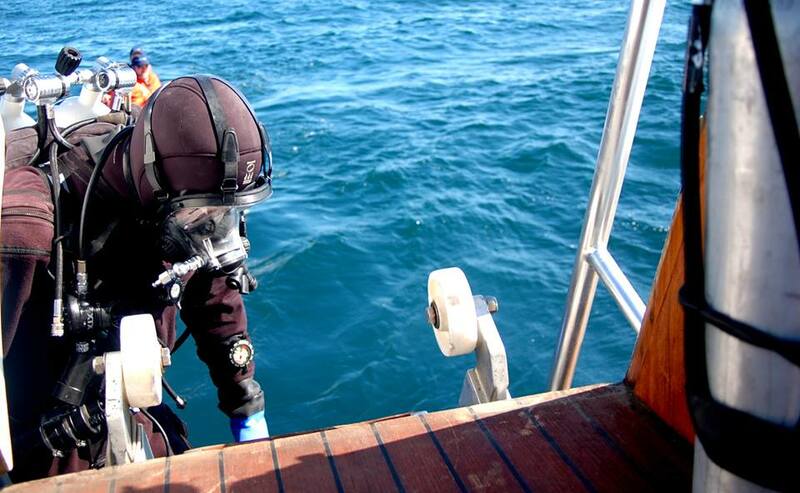 Erlendur discovered the virgin wreck which had only been dived by him until the TBI team had the privilege. Its location is still kept secret for protective purposes till the local government and historical interests can be accomplished. Not much can be revealed about this wreck apart from it was an awesome dive and fit perfectly into the expedition theme of diving virgin wrecks. 11th A change in the weather has moved the dive of USCG Alexander Hamilton forward a day to the 12th. Today the team prepared for diving Alexander Hamilton. The team mixed gases, worked out final logistics, visited the boat they would be diving from, loaded their equipment and discussed the best way to dive from it. Everything ran smooth and helped create a less stressful following day. 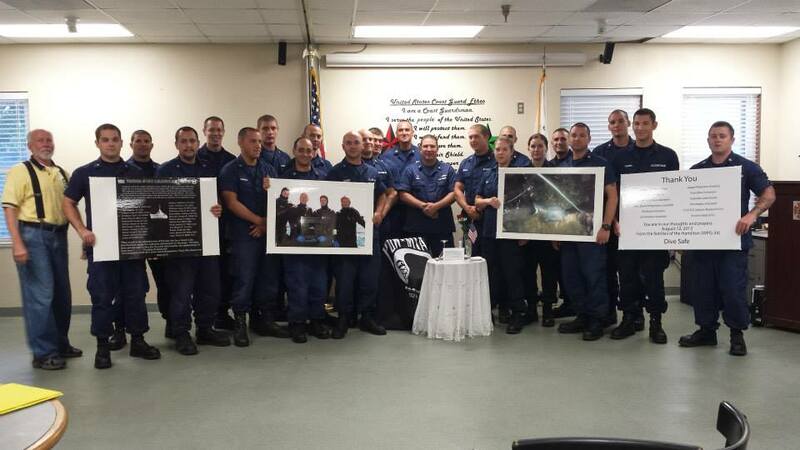 12th was the day that 2 years of planning had come down to, attaching the plaque to the USCGC Alexander Hamilton. The boys had done everything in their power to make sure it was a success; the rest would be up to the gods. They had a gap of good weather, everything was prepared with precision and the team was feeling good. Chris and Erik were excited to visit the wreck for the first time and for Jonas and Aron make her re-acquaintance. After a 2 hour boat ride out travelling at 20 knots the team where amidst the area where she lay in silence for all these years. The captain scanned the area while all boat crew and divers looked at the sonar screen in anticipation. All of sudden there she was, a clear picture of her lying on her side at 95m, it was a beautiful. It wasn’t long before the divers where heading down the shot line into the darkness. The visibility was not the best and the divers could not see very far in front of them. The computer was reading 50m, 60m, 70m as they made their fast descent and still no sight of her. Everything was running smoothly as everyone peacefully dropped into the abyss. Then at 85m her outline started to emerge, a couple of meters more and there she was, 2,350 tons of her. Crew member Sigurjón Veigar Þórðarson had been responsible for attaching the shot line to the vessel and for a 2nd time placed the divers directly on the ship – no mean feat! Now all that was left was to find a good location to attach the plaque and start the ascent back to a world that felt so distant. “Being down there was like visiting another world. It was a dark cold eerie resting place for the Hamilton and some of her crew. Being the first 4 divers to stare at this piece of history was truly unforgettable” stated Chris Haslam. The memorial plaque went on without a problem thanks to Dave Downey and Kustom Glass in Florida who designed the plaque to be attached with strong magnets to the super structure of the ship. 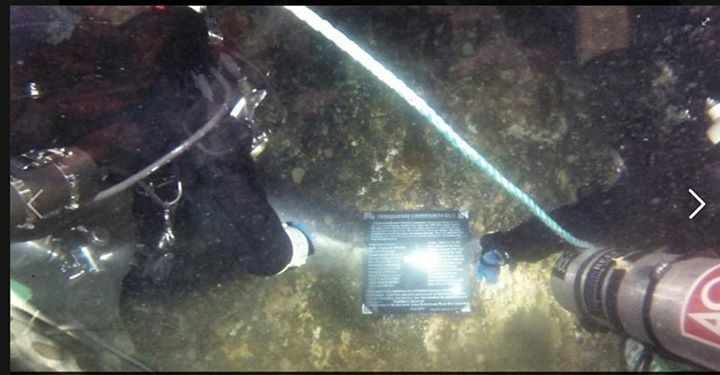 It was a very satisfying feeling for the team to be down there looking at the plaque attached perfectly to the Hamilton, the mission was completed and it was time for the long journey back to the surface. Over a year has now past and the expedition still feels alive. The boys have been inundated with emails congratulating them on a job well done and what the expedition meant to them. David Downey is touring America informing other veterans of our achievements. Ocean Reef will have a private screening of the documentary at DEMA this year. Jonas, Aron, Erik and Chris thank everybody from the bottom of the hearts who made this remarkable story possible, the list is long but you know who you are. Quotes from living family members and people connected to Alexander Hamilton. “We thank you from the bottom of our hearts. You will be in my prayers forever”. Helen M Butler, cousin of Michael T. Vas. “ Thank you. Now we have closure, we’ll never get Mike’s body back, but he and his crew now have their mark. I have no idea what is like to do what you do. I know only few can. I know it took a lot of work and sacrifice from a lot people behind the scenes who I will never get the honor of meeting, but I think they know they done good”. David Downey, cousin of Michael T. Vas. “Its incredible and amazing what you divers have done. I prayed for your safety. A great tribute to the men that went down with the ship”. Elma M. Vas, Married to a cousin and had a friend on Hamilton, the friend survived.